The control unit is more compact, the gun is lightened and its operation is facilitated thanks to its two dispensing modes. This patented dispenser is a French/Swiss conception and manufacture. 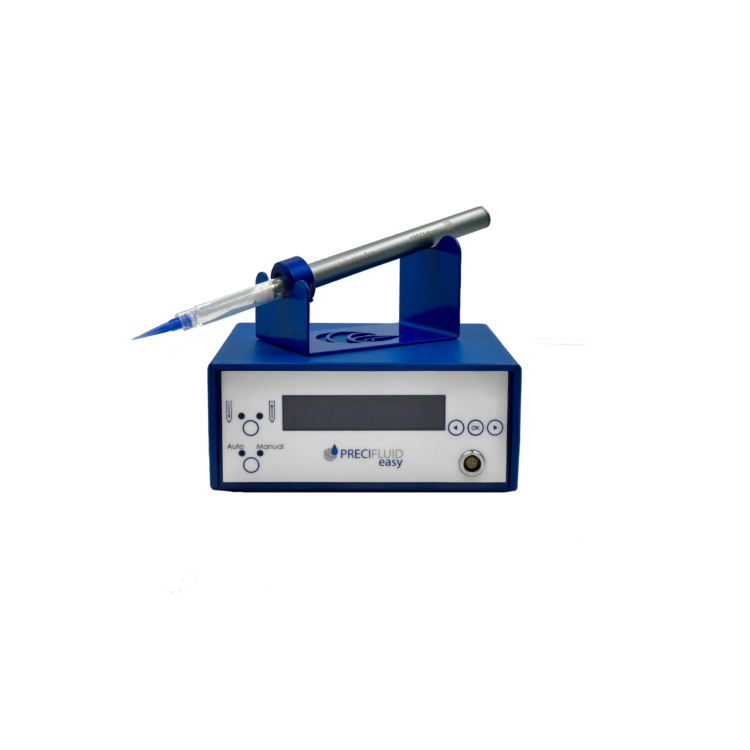 The PreciFluid Easy is insensitive to viscosity changes due to its electromechanical movement which ensures an optimal dispensing accuracy regardless of the conditions. It also offers an unmatched high pushing capacity going beyond 500,000 cps through torque multiplication. This version remains suitable with the consumables of the Opti-premium range.